This study aimed to group cattle carcasses with similar characteristics to assess the group-specific prevalence of cysticercosis using data from the slaughter of 15,002 cattle. 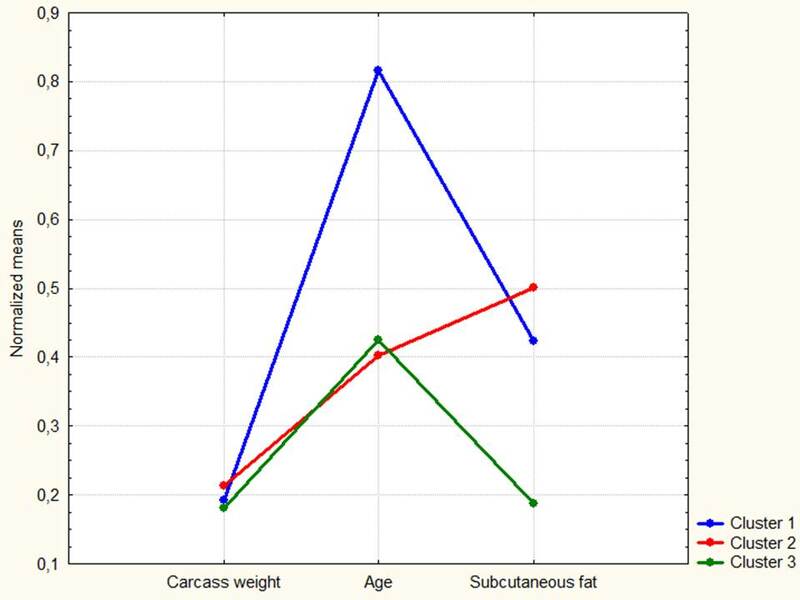 The following variables were recorded: carcass weight, cover fat, individual age, and prevalence of cysticercosis. A k-means clustering method was used to examine the relationship between carcass characteristics and the prevalence of cysticercosis. We did not specify the number of clusters before the analyses but used automatic methods based on a cross-validation to select the best-fitting clusters. One of the three produced clusters included carcass weight, cover fat, and age, as desired by the Brazilian meat industry. This cluster showed a reduced prevalence of cysticercosis (P = 0.0147) and earlier finishing compared with the other groups. In conclusion, earlier finishing seems to be associated with a lower prevalence of bovine cysticercosis.